If you’ve been doing research on the subject of estate planning, you’ve likely run into a lot of different acronyms and trust-types. It can be hard to keep track of them all! What’s the Difference Between a Testamentary Trust, a Revocable Living Trust, and an Irrevocable Living Trust? A trust can be created for a variety of reasons including for income or estate tax purposes, veterans benefits planning, Medicaid planning, asset protection planning, charitable planning, or for business succession purposes. Under a charitable lead trust, a designated charity receives income from the assets held by the trust and the assets then later pass to beneficiaries named by the Trustmaker. Charitable lead trusts may be used for tax planning purposes to take advantage of charitable deductions associated with the gifts being made. A charitable remainder trust is essentially the converse of a charitable lead trust. With a charitable remainder trust, the Trustmaker or a beneficiary designated by the Trustmaker receives income from the trust for a specified period of time, such as the Trustmaker’s lifetime or a designated period of years. When the income beneficiary’s interest ends, the trust assets then passed to a designated charity. Again, charitable remainder trusts may be used for tax planning purposes to take advantage of charitable deductions associated with the charitable bequests being made. In our office, we tend to call these the “Family Trust”. 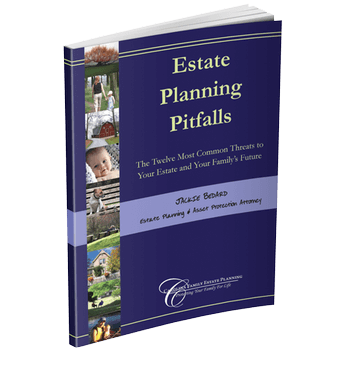 They are also sometimes referred to as a “bypass trust.” Without getting too bogged down in estate tax law, it’s an estate tax planning tool used with a revocable living trust for a married couple to ensure that as a couple, they maximize their estate tax exemption (the amount that you can pass free of estate taxes). This is a tool sometimes used by parents or grandparents that want to set aside funds for college expenses while receiving estate tax benefits. An equestrian trust is a form of Pet Trust (see below) for horses. These are trusts that provide certain tax benefits. Generally, the Trustmaker transfers an asset that is expected to significantly grow in value to the trust for less than its full market value. GRATs and GRUTs may be used to remove the full value of the asset and its future appreciation from the Trustmaker’s taxable estate to reduce future estate taxes upon death. The term "Grantor Trust" is used to refer to a trust that is taxed to the Grantor (the person that created the trust) for either income tax purposes, estate tax purposes, or both. An Heir Safeguard Trust is a term we use at Carolina Family Estate Planning to refer to a trust that has been designed to protect the inheritance from the beneficiary’s future potential lawsuits, creditors, or divorce. Intentional or not, who wants to be told they have a defective trust, right? The name of these trusts refers to the somewhat contradictory tax treatment that they receive. The trust terms are drafted such that the assets held by the trust will not be counted as part of your taxable estate for estate tax purposes. But at the same time, the trust agreement includes an intentional ‘flaw’ that allows you to continue paying the income taxes on the assets (and by making such payments yourself instead of by your children, this continues to further reduce your taxable estate). This can be a particularly appealing tax planning option if interest rates are low and/or values of the assets have depreciated such as during a real estate or stock market downturn. Inter Vivos Trust is Latin for a Living Trust. The term "Living Trust" simply refers to a trust that comes into being during the Trustmaker's lifetime rather than a Testamentary Trust which does not come into creation until after the Trustmaker's death. An IRA Trust refers to a trust that is specially designed for retirement plans such as individual retirement accounts (IRAs), 401(k)s, 403(b)s, and similar. Generally, the purpose of the Stretchout Protection Trust is to protect the income-tax benefits of the retirement plan while also protecting the retirement plan from future lawsuits, creditors, or divorce. Irrevocable trusts are used for many different reasons. With a Revocable Living Trust, you have the right to amend any or all of the terms or revoke it entirely. At its most basic level, an irrevocable trust means that somewhere in the trust document there is a power that you gave up permanently and cannot change without either court approval or the approval of all of the trust beneficiaries. For example, you may have given up the right to withdraw principal or change the beneficiaries. Thus, these trusts tend to be a bit more “set in stone,” but the degree to which they are set in stone depends on their purposes. For example, some of the irrevocable trusts that we use for Medicaid planning and veterans benefits planning still have some flexibility. Other irrevocable trusts are used for tax planning purposes and are much more rigid because the IRS rules require them to be. This is a type of living trust frequently used for asset protection during retirement and planning for potential eligibility for Medicaid benefits for nursing home care. With an Irrevocable Income-Only Trust, a person transfers assets to an Irrevocable Trust for the benefit of other beneficiaries (such as children or grandchildren), but retains the right to continue receiving any income generated by the trust assets (such as interest and dividends). The Trustmaker also typically retains the right to continue using and living in any real estate held by the trust and can change the beneficiaries of the trust. The Trustmaker may be able to access the trust funds indirectly through the children or grandchildren. This is a common form of irrevocable trust used for estate tax planning purposes and to keep the proceeds of life insurance protected from future lawsuits or creditors. An Irrevocable Life Insurance Trust holds one or more life insurance policies (and it can also hold other assets). Under the federal estate tax rules, the death benefits of any life insurance policies that you own will be counted as part of your gross taxable estate and may be subject to estate taxes. If the life insurance policies are instead owned by a properly created Irrevocable Life Insurance Trust, then upon your death the life insurance proceeds will not be included as part of your taxable estate. The tax rules for proper setup and maintenance of an Irrevocable Life Insurance Trust are extremely strict. If you are thinking about setting up an Irrevocable Life Insurance Trust, call our office at 919-443-3035 to discuss. A Lifetime Qualified Terminable Interest Property Trust, often referred to as a Lifetime QTIP Trust or Inter Vivos Trust, refers to a QTIP Trust established during the Trustmaker's lifetime. See below for a definition of a QTIP Trust. A Lifetime QTIP Trust may be used for lifetime asset protection and tax planning purposes. The term "Living Trust" simply refers to a trust that comes into being during the Trustmaker's lifetime rather than a Testamentary Trust which does not come into creation until after the Trustmaker's death. The term "Non-Grantor Trust" is used to refer to a trust that is not taxed to the Grantor (the person that created the trust) for either income tax purposes or estate tax purposes. This is a trust used to set aside a certain amount of funds to provide for the continued care of one’s pets such as horses, dogs, cats, tropical birds, or other pets. A pet trust allows you to leave detailed instructions about how you want the pet provided for, who will provide care and ensure there are sufficient financial resources to provide such care without burdening your loved ones with such responsibility or financial burden. A Pet Trust is strongly recommended when you have pets with a longer lifespan (e.g., horses, tropical birds, etc.) and/or pets that are costly to maintain (e.g., horses, show dogs, etc.). A QPRT is an irrevocable trust that holds the Trustmaker’s primary residence or vacation home as its only asset. The Trustmaker retains the right to live in the residence or use the vacation home for a fixed number of years. While the transfer of the property to the QPRT is a taxable gift, if the Trustmaker/taxpayer lives until the end of the trust term, the value of the residence or vacation property plus any later appreciation will pass to the trust beneficiaries without being included in the Trustmaker’s taxable estate. No, it’s not the thing you use to swab your ears. A QTIP is frequently used in a will or trust for a couple in a second or third marriage, with children from the prior marriages. A QTIP typically provides income to a surviving spouse but ultimately the principal assets to the children upon both spouses’ deaths. For example, let’s assume that a husband and wife are in a second marriage and the husband has children from his first marriage. If husband simply left all of his assets to his wife, she could spend them all or leave them to her own children (effectively disinheriting the husband’s children). Instead, husband could set up a QTIP to provide that if dies before his wife, his wife will receive all income (such as interest and dividends) from his assets for the rest of her life, but upon her death, the balance of the assets will pass to his own children from his first marriage. A Retirement Plan Trust refers to a trust that is specially designed for retirement plans such as individual retirement accounts (IRAs), 401(k)s, 403(b)s, and similar. Generally, the purpose of the Stretchout Protection Trust is to protect the income-tax benefits of the retirement plan while also protecting the retirement plan from future lawsuits, creditors, or divorce. Technically, “self-settled” just means a trust that you set up for yourself. However, generally, when the term “Self-Settled Trust” is being used, it’s referring to a Self-Settled Special Needs Trust, a “first party” trust, or a D(4)(a) trust (a reference to the section of the Social Security Act that sets out the rules for these trusts), is a Special Needs Trust funded with the disabled person’s own assets for his or her own benefit. For example, if a person is left severely disabled from a car accident and wins a lawsuit, the funds received from the lawsuit settlement may be placed in a self-settled trust so that the disabled beneficiary can still receive certain public health and disability benefits. A self-settled trust is established on behalf of the disabled individual by the person’s parent, grandparent or guardian and the disabled individual must be under the age of 65 years. The self-settled trust must also be irrevocable and includes a ‘payback’ provision specifying that upon the disabled beneficiary’s death, the trust funds must first be used to payback any Medicaid liens for benefits provided during the beneficiary’s lifetime. The balance of any remaining trust funds may then pass to the beneficiary’s family members. A Special Needs Trust, also referred to as a Supplemental Needs Trust, is used to set funds for an individual with a disability or special needs while preserving that person’s eligibility to receive government health and disability benefits. Many public programs require that a recipient be both medically eligible and financially eligible. As such, if the individual with a disability or special needs receives a direct inheritance from you, it may cause him or her to lose the government benefits. Under a Special Needs or Supplement Needs Trust, the assets or inheritance are instead held in trust and are used to supplement rather than replace the federal, state or local benefits that the person is receiving. This is a reference to a type of asset protection trust set up for children or beneficiaries to protect the beneficiary from frivolous spending and to prohibit the beneficiary as pledging the trust interest as collateral for a loan or debt. Typically, an independent trustee is appointed to manage the trust assets on behalf of the beneficiary and the independent trustee has full authority to make decisions regarding how the trust funds are spent. While a spendthrift trust can protect a child from many threats, it will not be effective against a court order or judgment for child support or for IRS tax liens. For married couples with estates that are expected to grow significantly, a Spousal Lifetime Access Trust (SLAT) can be used to lock in the current value of part of the estate for estate tax purposes. A SLAT is an irrevocable trust whereby one spouse places assets into the trust for the benefit of their spouse or their spouse and children. The couple retains access to the assets through the beneficiary spouse. If the beneficiary spouse dies first, the assets can then flow into a new trust for the surviving spouse that has greater asset protection. A Stretchout Protection Trust is a term we use at Carolina Family Estate Planning to refer to a trust that is specially designed for retirement plans such as individual retirement accounts (IRAs), 401(k)s, 403(b)s, and similar. Generally, the purpose of the Stretchout Protection Trust is to protect the income-tax benefits of the retirement plan while also protecting the retirement plan from future lawsuits, creditors, or divorce. A Testamentary Trust generally refers to a Trust that does not come into existence until after the death of its creator. For example, a Last Will and Testament might include instructions to create a Testamentary Trust upon the death of the Will-maker. Under North Carolina law, a person cannot legally “own” title to property unless they are 18 years of age or older. As such, most Wills or Trusts will include a “Trusts for Minors” clause specifying that if a beneficiary is under age, the beneficiary’s assets must be held in trust. A Trust for Minors clause also permits you to pick the age at which the beneficiary receives direct control and access to the assets. Most parents and grandparents feel that age 18 is too young and will select an older age such as 25. While the child is under the specified age, the trust agreement provides instructions for how the funds may be used—such as for the care, upkeep and education of the child as well as how and when some or all of the trust assets should be distributed outright to the child or grandchild. This is by no means an exhaustive list of all of the types of trusts available and many lawyers have even coined different names or terms for the same types of trusts, but this should give you a good idea of the most common types of trusts that you are likely to encounter.